It’s finally here! 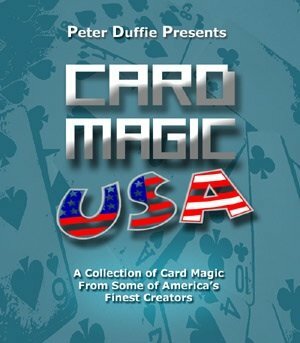 An incredible collection of card effects, moves, and inspirations from some of America’s finest creators. This will not be printed as a hardbound book, and is only available in E-Book format. 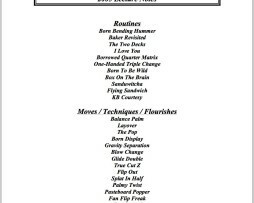 list of the contributors include John B. Born, Jon Armstrong, Lee Asher, John Bannon, Steve Beam, Steve Bryant, Antonio Cabral, Jack Carpenter, Steve Dacri, Steve Draun, Steve Dusheck, Steve Ehlers, Tom Frame, Cameron Francis, JK Hartman, Wesley James, Joshua Jay, Marty Kane, Bob King, Nathan Kranzo, Chad Long, Harry Lorayne, Bill Malone, Ryan Matney, Max Maven, Steve Mayhew, Stephen Minch, James Patton, Jeff Pierce, Gary Plants, Mike Powers, Jon Racherbaumer, Steve Reynolds, Robin Robertson, Harvey Rosenthal, Steve Shufton, Bob Solari, Ryan Swigert, Dan Tong, Diamond Jim Tyler, Michael Weber, Caleb Wiles, as well as a section from past masters including Roger Klause, Gene Maze, Michael Skinner, Paul Swinford, and Frank Thompson. A must-have project for any card enthusiast!